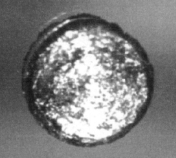 One of the elements of the actinide group, Californium was first synthesized on approximately February 9, 1950 by researchers at the University of California. After checking and replicating the initial experiment, its discovery was announced a month later, and the element named for the university (and state) where it had been created. Tagged 1950, Californium, Dead Milkmen, Mar 17, periodic table, The Fez.